If you are looking for a chore chart for your family then chances are you have seen hundreds of versions of list charts similar to the one pictured above. These do not work. 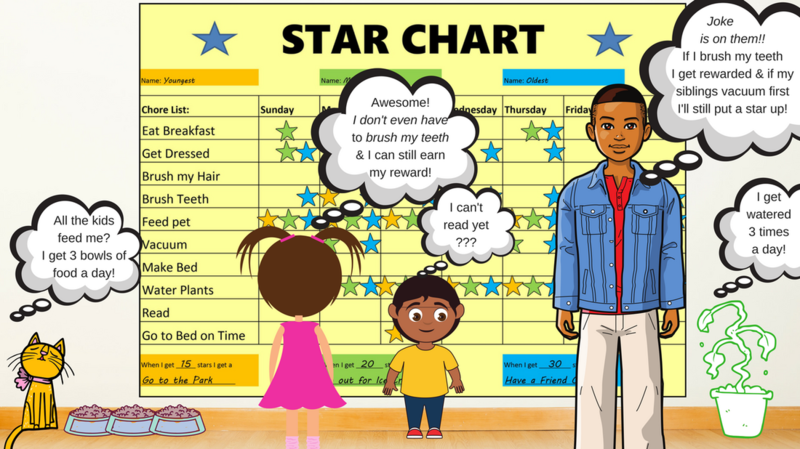 Families need a chore chart system with clear expectations which is something other chore charts simply can not provide. NEATLINGS Chore Chart System is the solution. It is customizable for each child, sets clear expectations, works for toddlers to teens and won't over feed your pets or kill your plants.